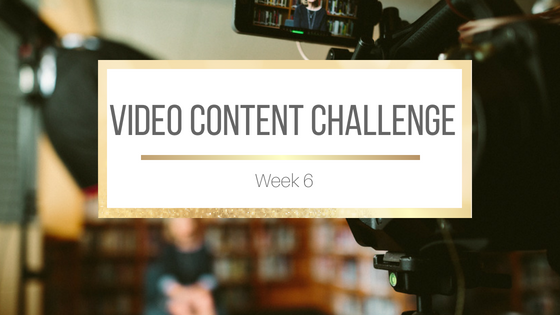 Welcome to week 6 of the Video Content Challenge! Sorry for being late posting this week but I've had a huge mouth ulcer for the past week, and a wisdom tooth playing up which means I've been in a lot of pain, and pretty swollen for the past week. The good news is that yesterday everything finally started settling down again. Luckily swelling has gone down as quickly as it came. So looking forward to eating real food again. I've been on a mostly liquid diet through all this. Anyway, that's why this post is a day late. I couldn't speak very well with all the swelling and so couldn't film the video. 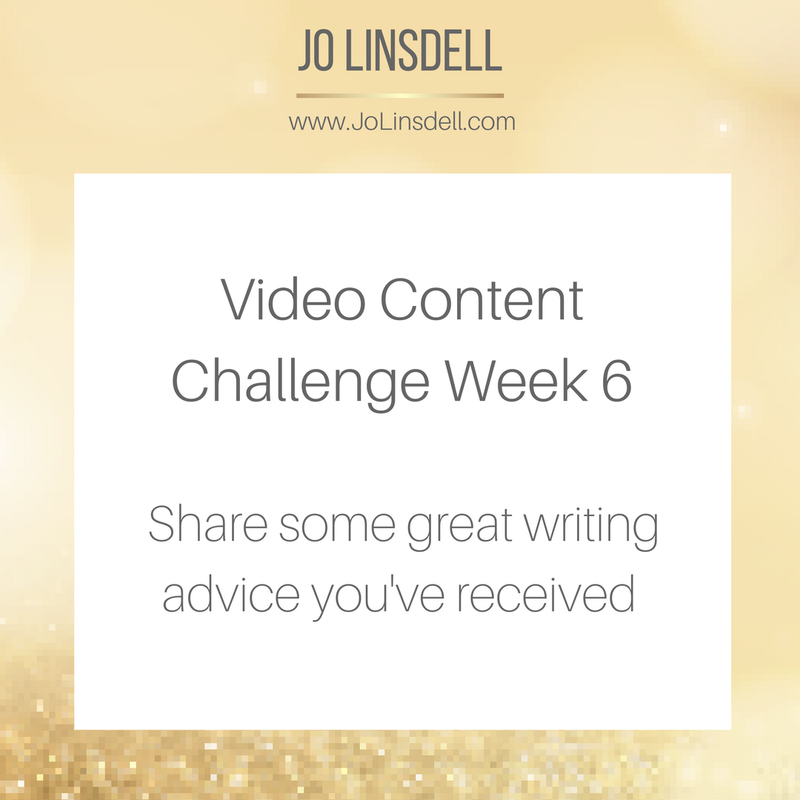 Just check back at www.JoLinsdell.com every Tuesday for the latest video challenge. 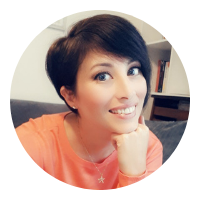 I'll be sharing my own video for each challenge to give an example of how you could do it (this is, of course, only an example. I hope people will get creative with their own videos). Once you've uploaded your challenge video for the week to YouTube, share the direct url for it in the comments section of the post so we can all give feedback. 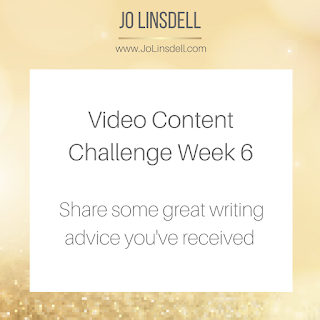 This week's challenge is to upload a video where you share some great writing advice you've received/ best advice based on your own experiences. How are you doing with the challenges so far? Remember to link up your videos in the comments section below. I hate everything that involves the dentist, hoping you recover quickly!!! I'm doing much better now thanks. Interesting series. Sure I can learn something out of it. Thanks. I hope you do find it useful. I have a real fear of dentists. Glad your tooth has settled down. Great advice. The wisdom tooth has me a bit worried. I'm already had two removed. The last one took 3 hours to pull as had a curved root and even the dentist was crying by the end of it all. Hoping I won't have to repeat that with this one. I remember learning in graduate school that Dentists have a high rate of suicide probably due to the dread most people have toward them, so hug your dentist when you go. I love my dentist. He really is awesome. Can't be an easy job to do. Hope you feel better soon! That's some great advice, I don't know how many times I've closed books because it's just too similar to other books I've read. Glad you liked it :) It is hard to come up with some completely new and unique as so many things have already been done. I think that if the author embraces their voice and style though that they can put a new twist on even the most retold plots. I'm luckily enough never to have gotten my wisdom teeth. Hope your ulcer and tooth are better soon. Great advice btw. Thanks. Doing much better now. You poor thing! Glad you're feeling better! Thanks. It was one hell of a week. Great advice. It is very important to be yourself. I think the best advice I heard for me is to just keep writing. I am glad you are feeling better. Mouth pain is the worse! Glad you are feeling better! That's one of the reasons I like taking part in NaNoWriMo. It forces me to keep writing until the story is finished. Glad you are feeling better! You are so awesome being on video so soon after! Great advice and hope you feel better soon!